Trading is a complicated process and usually takes a longer time to grasp and comprehend. Movies are capable of portraying these complex ideas efficiently in a shorter period. Good movies serve as an excellent source of learning. This genre of entertainment resonates well with people and their lives. Cinema creates an impact which may seem hard to achieve through textual and other mediums. Even science has proved that learning curves through visuals and graphics are far steeper than through text media. Trading is a complicated process and usually takes a longer time to grasp and comprehend. Movies are capable of portraying these complex ideas efficiently in a shorter period. 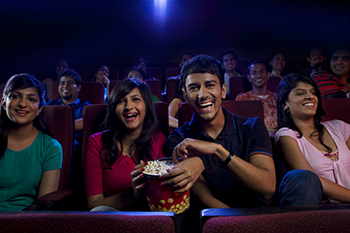 Movies offer both cognitive and affective experience. They stimulate the brain as well as the emotional intellect of a viewer. They can implant ideas, enhance knowledge, and help connect with real-world scenarios. The Big Short is the perfect movie to learn about one of the biggest global crisis. This film perfectly portrays the reason for the 2008 Stock Market crash, which cost 8 million people their jobs and homes. It is the story of four people who predicted the stock market crash. They traded short, while others went long. This enabled them to earn huge amounts of money for their investors even when the markets were falling apart. They feel horrible that the financial world has to collapse for them to be proven right. However, they also acknowledge that the information was there for anyone to see. They use a lot of financial calculations throughout the movie which helps relate to real-world scenarios. The Big Short teaches us a lot about the global economy and how it takes a turn. This is not a movie, but a collection of documentaries that starts with showing how to trade stocks in the real estate. This episode deals with a lot of thought-provoking ideas about how the real estate industry works. It is a good series to follow if you want to invest in the real estate sector. With its innovative concept of economics, it makes one analyze in-depth trading mechanisms. This Oliver Stone classic is an incredible movie that every finance professional should watch. It is the story of a young, impatient stockbroker who takes the illegal path to reach the top, including following his stigmatized hero Gordon Gekko, a sly, greedy corporate figure on Wall Street. The movie warns us about the menaces of insider trading, while simultaneously defending it with Gekko's famous words, "Greed is good". It an eye-opener for young trading enthusiasts who end up in illicit trades under the influence of people like Gekko. The film ends with the moral of having a clear conscience before entering the share markets. A financially accurate plot spread over 24 hours, Margin Call revolves around the core team at an unnamed investment bank as they head towards the financial crisis of 2008. It is a fantastic thriller where an entry-level analyst unlocks the information which would lead the firm to its downfall. The key characters get involved in reckless risk-taking after trading complex derivative instruments they barely understand. They even talk about managing the corporation with or without understanding the business. A 2010 Academy award winner for the best documentary feature, Inside Job is an excellent case study of the 2008 financial crisis. It portrays horrors of the stock market and how the US financial industry leads the world towards a great turmoil. The characters, top executives of the giant investment banks, give in to their greed and later walk away with their personal fortunes. It teaches a great deal about choosing the risks and drawing necessary lines at the time of trading. The documentary also features interviews with leading bankers, investment houses, and economists like Raghuram Rajan. It is a must watch for all trading enthusiasts. The bottom line here is that these films provide an insight into the wild and vulnerable world of finance. Whether you're a prospective trader or someone closely working in this field, you can watch these notable movies to get a feel for the market. Some others like Rogue Trader, Trading Places, Billion Dollar Day are also a great watch. A newbie investor should brace himself with the basics of trading to ensure a successful trading career.